Retro-Style, reinterpreted for protective eyewear. NUVO affords incredible protection in a lightweight comfortable frame. 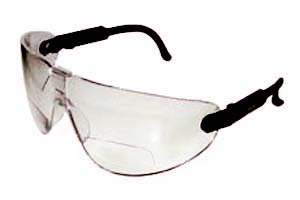 Light Vision with dual Led lights is the brightest idea in safety eyewear, provides hands-free direct light capability. 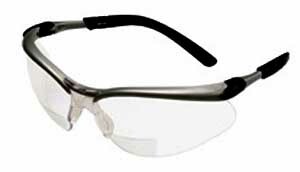 •ANSI Z87.1-2003 rates safety glasses for excellent impact protection. •Great for home projects, plumbing, electrical work, car repair, reading, medical and lab work, night rescue and whenever extra light is needed. 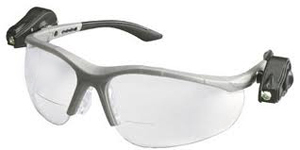 •Anti-fog coating keeps vision clear in tight spaces. •Long battery life, batteries included. •Comfortable, rubber temples and nose pads.